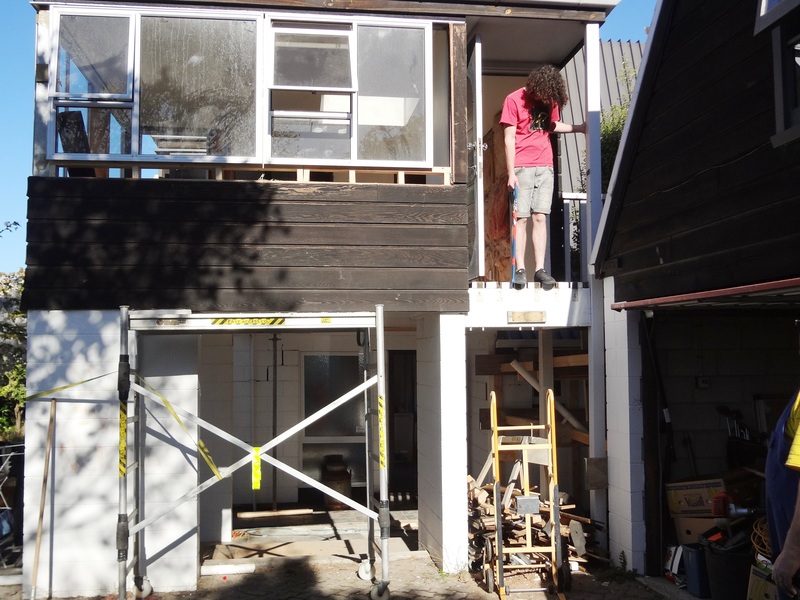 Prior to these windows going in we had plywood over the gap which, of course, made the room rather dark & dismal. The second-hand windows are now in place on the western wall of the sunroom/dining room – wow! What a difference! So much light! The afternoon sun streams in – it will be a hot-house in the summer! And the view is lovely – trees with their spring foliage. 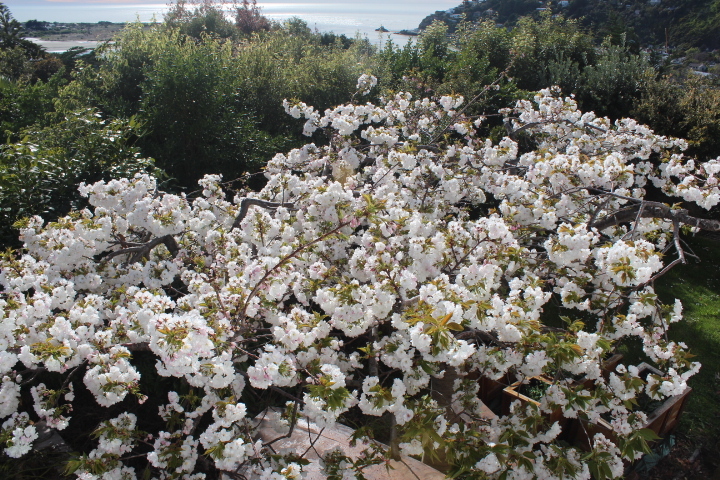 Actually, we have many trees around the section – cherry blossoms that literally sprung to life the weekend we moved in and a couple of kowhai looking radiant. I am yet to see if tui frequent the trees but do hope so. Cherry blossom from sunroom window. 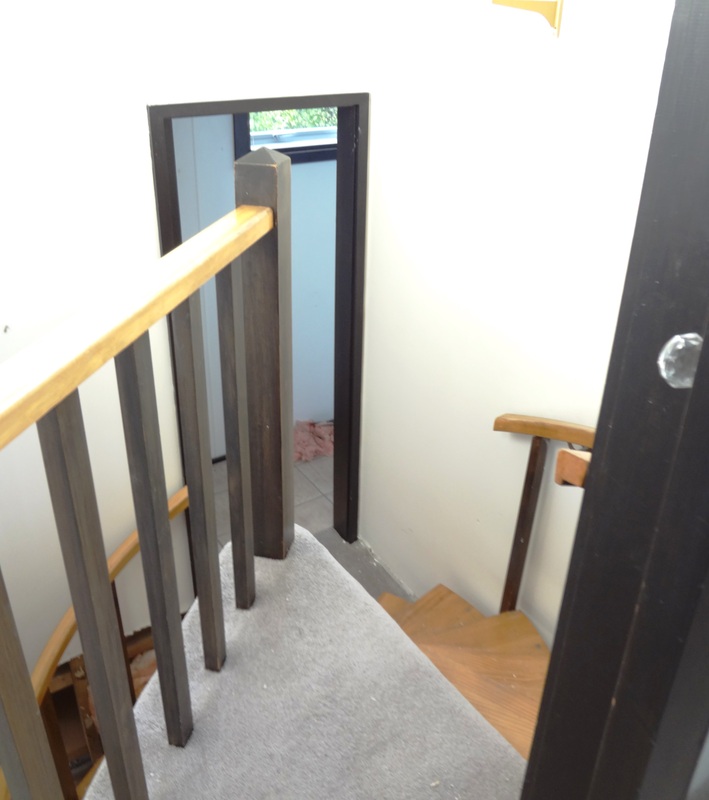 But we’ll move back to the spiral staircase and up half a dozen steps to the second bathroom. 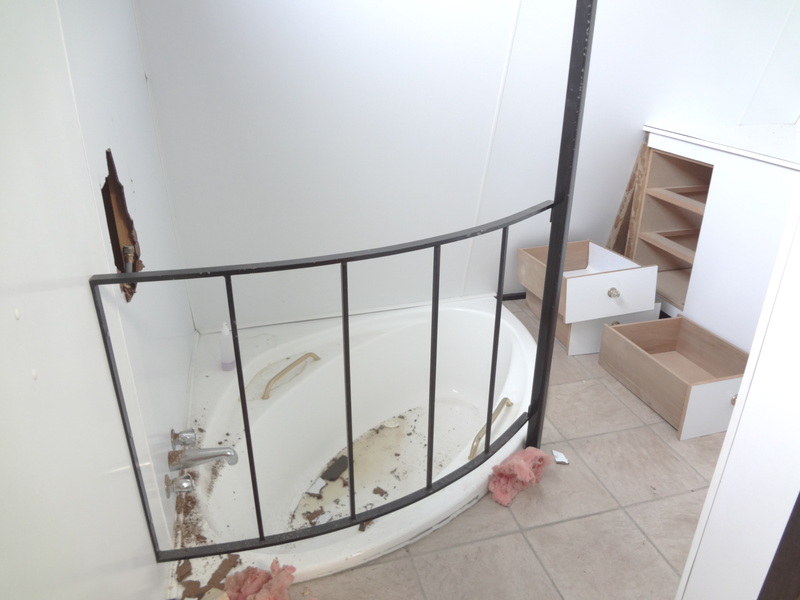 The toilet is tucked behind the door to the left and to the right is the sunken bath with metal “guard rail” and large bench space with handbasin – unusual and ugly! This photo was taken before we moved in – the mixer had been removed from the wall by the previous owner so we showered downstairs until hubby fitted a new one. Top of staircase looking into bathroom. Up another half dozen steps and into our lofty bedroom – another quirky room, complete with seven windows, the biggest of which really does have an awesome view as you’ll see in the photo. The wardrobe is really bad so that’ll be re-vamped and, as mentioned before, we are yet to get a bed that is able to be carried up the staircase. This room is definitely the warmest in the house as there is even a fan hanging from the lofty ceiling. The carpet in this room is fine but we will probably replace it anyway to keep it uniform with the rest of the house.